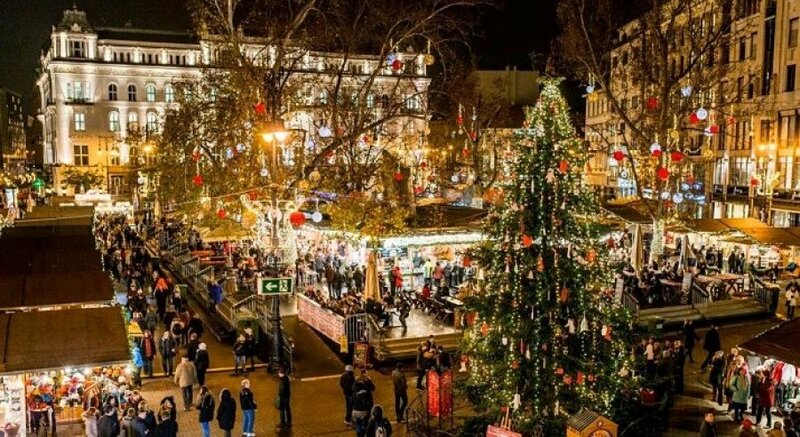 5 OF THE BEST CHRISTMAS MARKETS TO VISIT IN EUROPE. 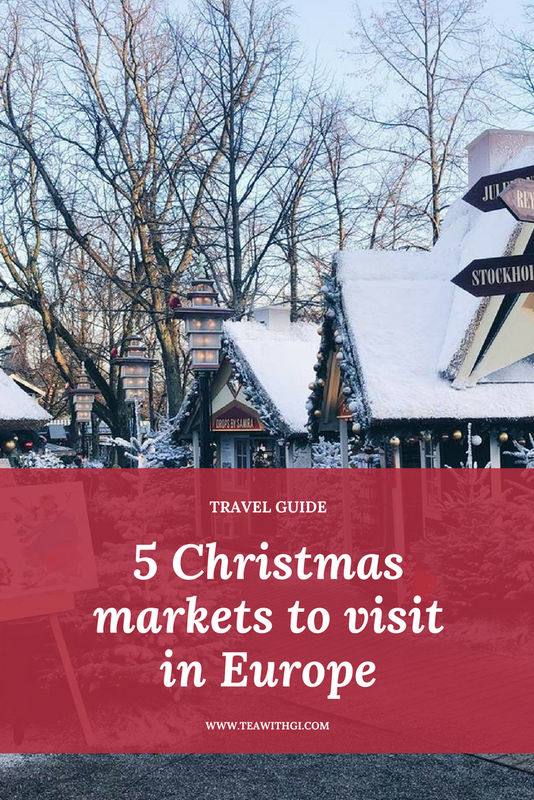 If you read my last post on getting into the Christmas spirit, one of my pointers was to indulge in all the lovely Christmas Markets that are taking place around the world. One thing they all have in common is that they are a great place to unite with friends, have a first date, stuff your face with food and drink and maybe pick up a few hand made pieces along the way. Of course, each city has its own charm complete with their unique goods and treats. If you're looking for a last minute christmas getaway, here are some of the best Christmas markets in Europe. So I'm going to kick off this list with one I can actually vouch for because I spent the weekend there. Copenhagen is full of buzzing markets throughout the city, the biggest (free one) probably being in Nyhaven Harbour. Here you can get everything from flavoured fudge, waffles on a stick, chocolate tools and lots of personalised gifts. 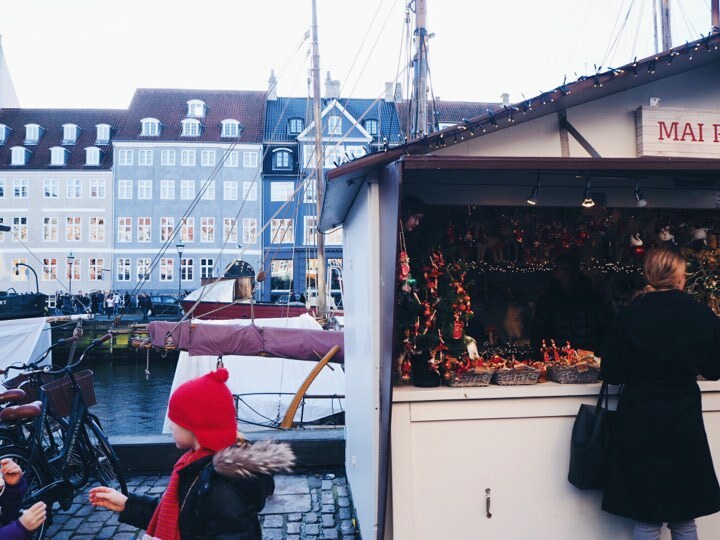 You then also have the Christian Andersen market that can be found in Nytorv, where each stall is named after one of his fairytales, cute right? The Christmas markets run up until the 23rd December. The most impressive of them all is in Tivoli, which sadly is not free but you do get to see some great sculptures and gardens, and is also the second oldest theme park in Europe. 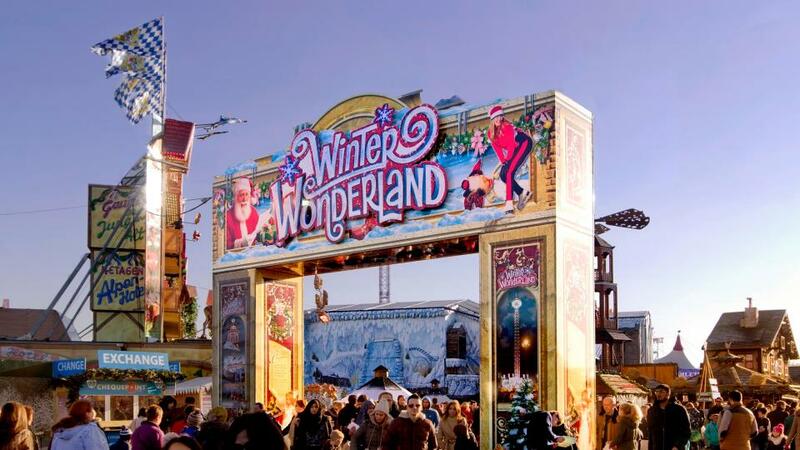 This is the first time in 4 years that I haven't been to Winter Wonderland in London, it will be missed this year! This spectacle takes up most of Hyde Park and runs from the 17th November to the 1st January. Here you can find everything to take up your whole afternoon/evening. Markets, rides, bars and even an ice-skating ring! This year they have shows including Cinderella on Ice and its very own Circus Megadome. The best part about this is that it's free to wonder round, so it can be as cheap or expensive as you wish to make it! It wouldn't be a proper list without including the home of bratwurst sausages. 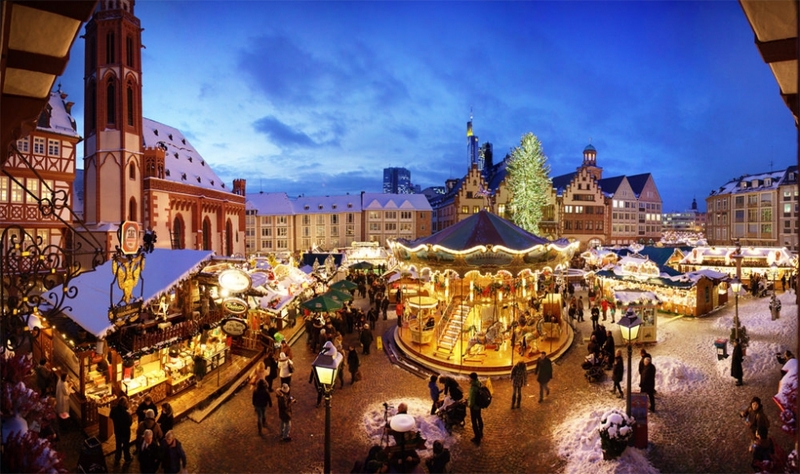 In terms of visitors and the size of it, the Frankfurt Christmas Market is one of the largest and oldest Christmas markets in the whole of Germany. 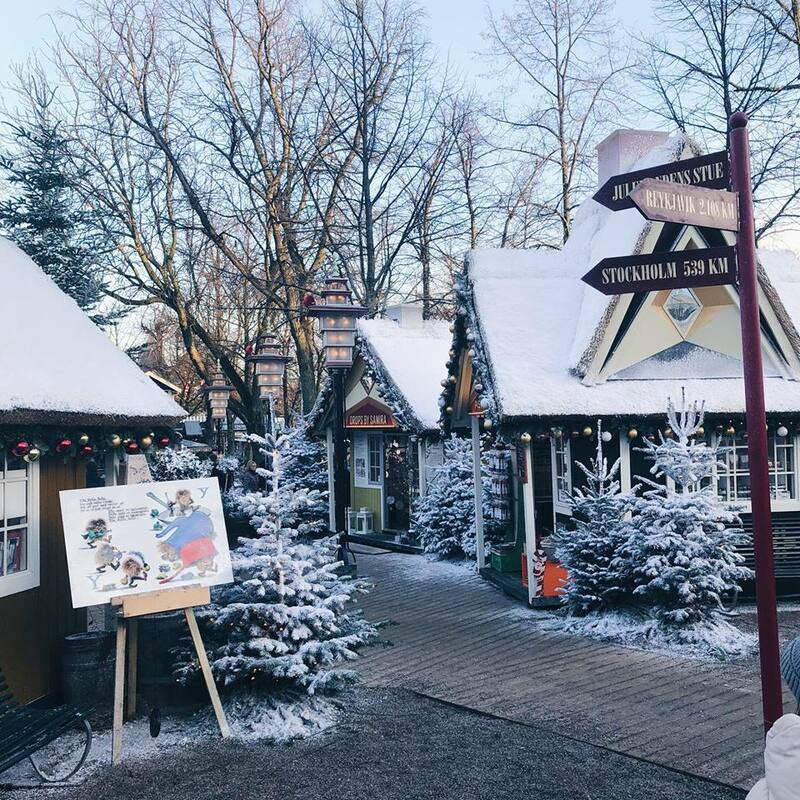 It is complete with elaborate decorations, scenic surroundings from the Romerberg and St Paul's Square combined with the huge Christmas tree at the market. If you're a foodie like myself then don't just come here for the sausages, you can also have a helping of pretzels, berliners and gluhwein! If you want all that comes with the festive markets without the freezing temperatures, then Seville will be a pleasant surprise. I wanted to spend a weekend here before the end of the year but sadly there aren't many weekends left. It just means I'll have to visit in the warmer months where I can pretend I'm in Game of Thrones (they shoot some of the scenes here). 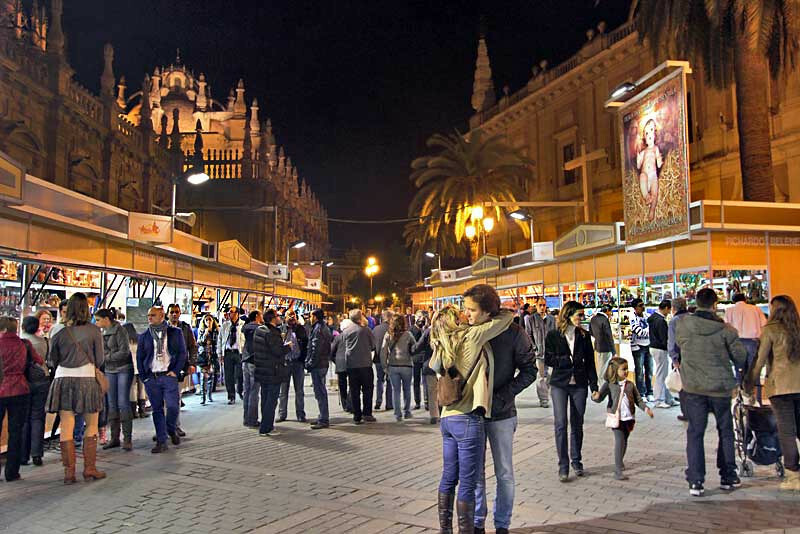 There are a number of markets in Seville ranging from typical ones to ones that specialise in art created by Spanish artists in the Plaza Nueva, including pottery, paintings and wooden toys. There are also two combined markets in the Alameda de Hercules that feature a range of attractions and special performances for the whole family - including ice skating and performances by disney characters. These markets usually run up until the 5th January as in Spain the day of the 3 Kings is even more celebrated than Christmas Day itself. Last but not least, is the beautiful Budapest. I took a trip here last September and was blown away by the beauty of the city. Two of my friends visited the place last week and so told me all about their christmas markets and their Chimney cakes. The two main markets in Budapest are located in the Vorosmarty Square and at the Budapest Basilica Christmas Fair. At the Basilica fair you not only find the usual, but there is also a Christmas laser projection show. Have you been to any Christmas markets this year other than in your home town? What is your favourite festive treat at this time of the year? I've been doing quite well at visiting local Christmas markets this year, I have been to Sheffield, Birmingham and Cambridge! They are just so magical and a lovely thing to do that makes you feel festive! Wandering round with a mulled cider in hand is blissful! Edinburgh's markets are top of my wish list to visit, although Seville's would also be incredible! TRAVEL; WHERE AM I GOING IN 2018? FESTIVE & HOLIDAY DRINKING GAMES. 2017, MY YEAR IN TRAVEL.